A big thank you to Dave and Rob from the Welsh Ambulance Service who came to talk to Year 1 today. 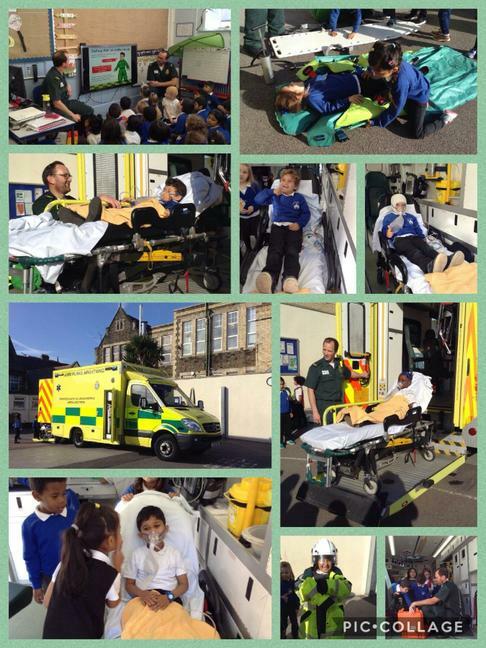 We had a lot of fun exploring the ambulance, learning about the different equipment and pretending to be patients. Thank you for answering all of the children’s questions. It was a great learning experience for the children.